The American Liver Foundation states that up to 20% of Americans have a fatty liver. A fatty liver is one in which the fat content makes up more than 5-10% of the liver’s overall weight. Experts state that the growing obesity epidemic has contributed to the increase in non-alcoholic fatty liver disease (NAFLD) in the country. Currently, NAFLD accounts for 75% of chronic liver disease in Americans, making it the most common cause of liver disease. 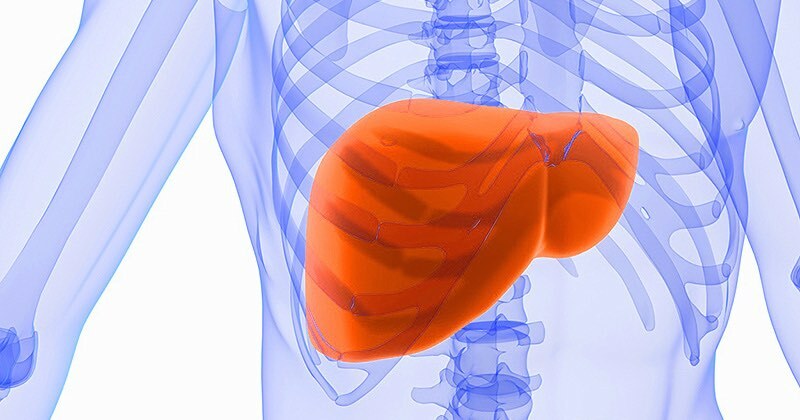 There are two different variations of this condition, alcoholic liver disease, and non-alcoholic fatty liver disease. While alcoholic liver disease is caused by an overindulgence of alcoholic beverages, often seen in long-term alcoholics, the presence of non-alcoholic fatty liver disease is slightly more difficult to explain as it can be the result of a number of different factors, such as genetics or high cholesterol. Excessive Sweating: The liver is a relatively large organ in the body, and when it becomes overworked it overheats. This, in turn, overheats the rest of your body causing you to become hot and sweaty, even if the current environmental conditions don’t call for it. Bad Breath: If you notice that your breath is particularly off despite brushing and flossing your teeth and tongue repeatedly, this may be a sign of something more than just dental concerns. This is caused by the build-up of chemicals in the body including dimethyl sulfide. Unexplained Weight Gain: One function of the liver is to metabolize fat in the body. When it is not working at optimal levels you may experience weight gain despite no significant changes in lifestyle. Yellowing Skin and Eyes: A more commonly known symptom of liver problems, yellowing of the skin and eyes indicates a condition called jaundice. This occurs when the liver is unable to excrete the chemical bilirubin, causing it to build-up in the body. Persistent Acne: When the liver fails to eliminate toxins effectively from the body it can cause you to experience a hormonal imbalance. Acne, often seen in teenagers during puberty when their hormone levels are highly fluctuating, is then triggered by this shift in your current hormone levels. Red Palms: Also believed to be caused by the change in the hormone levels in the body, reddening of the palms is a common sign of liver damage among those over the age of 50. It can largely be seen along the outer edge of the palm, and in a band like fashion stretching from the wrist to the little finger. Allergies: Your liver is responsible for the production of antibodies which attack allergens in the body. When this production decreases and the body stores allergens, it will, in turn, produce the chemical histamine to mark the allergens for removal. Histamine is responsible for a number of well-known allergy symptoms including headaches, itchiness, sneezing and watery eyes.